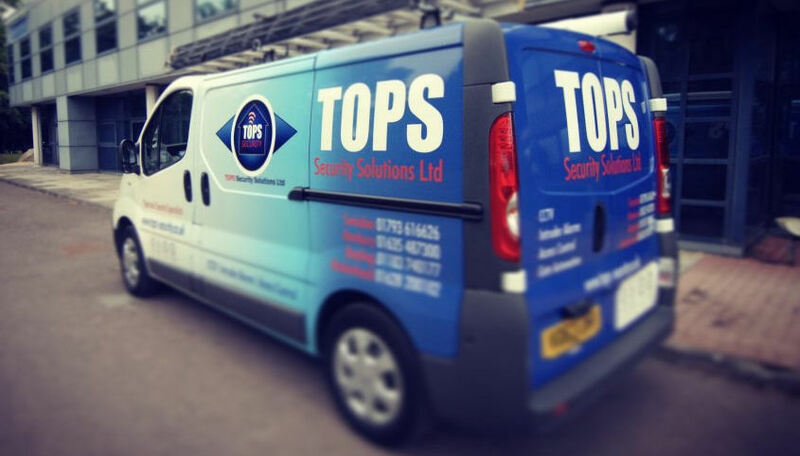 TOPS Security Solutions Ltd have a hard earned reputation in the industry for providing excellent standards of workmanship together with a real flair for technology – all of which comes with a ‘can do’ approach focused firmly on customer satisfaction. We are an SSAIB (Security Systems and Alarms Inspection Board) approved company, recognised by both the Police and the Insurance Industry. In 2011 we invested in a bespoke management software package that has given us the ability for the office staff to have every detail we have about a customer at the click of a button. In the field our engineers manage their schedule and jobs using Apple iPad’s, again keeping the system up to date with live information. At a click of a button we can see where our engineers are and who is nearest to any breakdown jobs that come in. This means that we have the infrastructure behind us to rival many ‘National’ companies whilst still being able to keep the same friendly ‘local’ values that our customers want – of which is very important to us. TOPS’s Directors have over 70 years combined experience in the industry and are very much involved with the day to day running of the business, making sure that the company develops and more importantly, maintains the highest possible standards that our customers need. The engineering department play a vital role within the company and each of our engineers are employed thanks to their natural high levels of workmanship and technical ability which is in keeping with our company ethos. The engineers will always look for the neatest and most reliable option when carrying out an installation rather than the quickest way and we will always keep disruption to a minimum when carrying out any work. Our engineers are experienced in working in many different environments – we are at home in…….homes! but also equally adept to work in places such as Power Stations, Electricity Sub-Stations, Building Sites, Farms, Shops, Offices, Radio Stations, Nightclubs, Factories and Country Estates. The office staff complete the team, organising operations seamlessly and providing a personal and attentive response to any customer query.